TNSTC Nagercoil started a service from Kanyakumari to Trichy some months back. 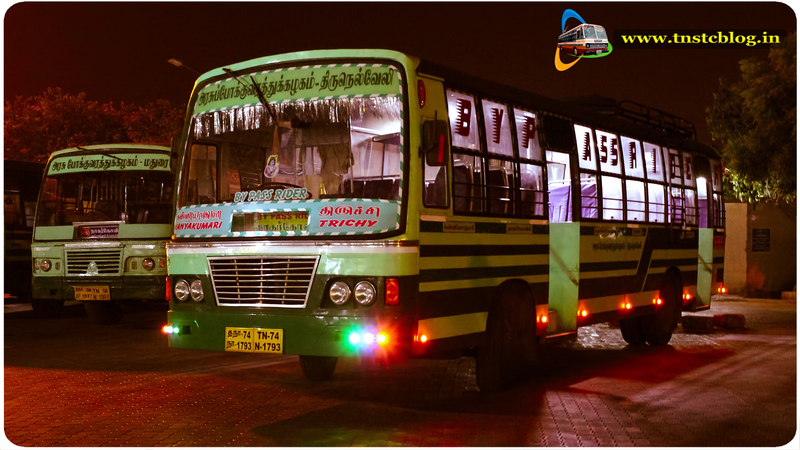 The direct service from Kanyakumari by TNSTC till now people have to depend on a transits at Nagercoil. TNSTC Nagercoil Kanyakumari Depot is operating this service. Recently a newbie have been alloted to this route. Timings | Kanyakumari : 06:30 A.M. | Trichy : 04:00 P.M.
TN 74N 1793 of Kanyakumari Depot Route Kanyakumari Trichy via Nagercoil, Tirunelveli, Madurai.